As political parties struggle to conclude primaries and meet the October 7 INEC deadline for submission of candidates, the exercise has been characterised by inconclusiveness, cancellation, infightings and intrigues that may make or mar their chances in the 2019 general elections. Mostly hit by the development is the ruling All Progressives Congress (APC) whose leadership has been running from pillar to post in handling the situation. The opposition Peoples Democratic Party is not insulated from primary election crisis, but that is minimal, compared to that of the APC. The development in APC has made the party leadership led by Adams Oshiomhole to continue to change the rules in the middle of the game; a development that has pitched the leadership against some party faithful including state governors. Some of these governors apart, from sponsoring protest in support of Oshiomhole’s removal have taken their case to the presidency for urgent intervention. It is expected that after the primaries and fallouts, the battle for the tickets will shift to the parties’ national headquarters in Abuja where the final list of candidates will be compiled and forwarded to INEC. Here, losers and winners in the primaries will lobby the leadership to submit their names. In that situation, bribery, compromise and intervention from higher quarters take centre stage and anything is possible. So, for those who won their primaries in the field, it is not yet Uhuru until INEC publishes their names. This is because the Electoral Act 2010 empowers the party leadership to supervise election of their candidates. Besides, INEC has no power whatsoever to reject a candidate submitted by political party, unless it is based on court intervention. In Lagos State, what started like a child’s play with the insistence of some forces in APC led by the godfather of Southwest politics, Bola Tinubu, that Governor Akinwumni Ambode does not deserve seek second term has culminated to Ambode surrendering the party’s ticket to the new godson of Tinubu, Babajide Sanwo-Olu. Not many saw the development coming, not even Ambode, whom Tinubu has before now praised for performing well in office. The rate at which Ambode was abandoned by party members, including party leaders, House of Assembly members and even his deputy, showed that Ambode was never in control of the party structure in the state. Not even the national leadership led by Oshiomhole or the Presidency was helpful to Ambode in his ordeal. It was surprising and shocking that the same party national leadership that earlier cancelled the primary for issue of disenfranchisement, violence and thuggery reversed itself less than 24 hours. Speaking as the head of the APC electoral panel appointed to conduct the Lagos governorship primary, Clement Ebri said that despite the hiccups on Tuesday, the Lagos State governorship primaries committee collated the results of the 245 wards in the 20 local government areas from the collating officers. Governor Ambode scored 72,901 votes, while Sanwo-Olu scored 970,851 votes. Ebri did not elaborate on why he made a u-turn on his stance of Tuesday, amidst intense politicking from party leaders in the state. Not too long after Ebri’s volte-face, Ambode conceded defeat. 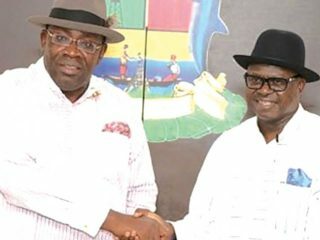 He congratulated Babajide Sanwo-Olu, his challenger for the party’s ticket with whom he had been locked in a fierce contest in recent weeks. With this, it appears that the noise about APC governorship crisis in Lagos has come to an end. Whatever the opposition can harvest from it will be seen in 2019 elections. Expectedly in Kaduna State, the major crisis that characterised APC primary was the political fight between the senator representing Kaduna Central, Mallam Shehu Sani and the State Governor Mallam Nasir El-Rufai, over who picks Kaduna Central senatorial ticket. Sani has been at loggerheads with El-Rufai to the extent that he reportedly used his position in the Senate to block the state government from getting the loan from World Bank. The party faction in the state loyal to El-Rufai has expelled Sani since. But despite opposition by El-Rufai and his loyalists, the party leadership cleared only Sani for the senatorial seat and disqualified other aspirants, including El-Rufai’s preferred candidate and special adviser on political matters, Uba Sani. Perhaps, sensing that he could be outsmarted by the APC headquarters, Uba Sani on Wednesday approached a High Court in Kaduna to stop the ruling party from conducting the primary to select the party’s candidate for the district. 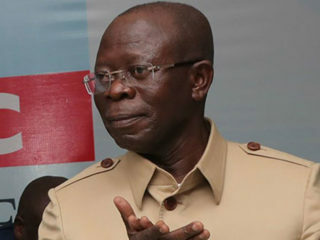 The court ordered the APC, its chairman, Mr Oshiomhole, the electoral commission, INEC, and incumbent senator, Sani, to maintain the status-quo prior to October 2 when the APC excluded Uba Sani and other aspirants from the contest in favour of one aspirant. In Anambra State, the wife of the late Biafran Warlord and leader of All Progressives Grand Alliance (APGA) Mrs Bianca Ojukwu lost the Anambra South senatorial ticket to Nicholas Ukachukwu. Mrs Ojukwu had been at loggerhead with Chief Ifeanyi Ubah over the ticket, but the party leadership later disqualified Ubah from contesting the primaries. Also against Mrs Ojukwu’s ambition are some family members of her late husband and some members of MASSOB. The battle for the Anambra South senatorial seat will be a straight fight between Andy Uba of All Progressives Congress (APC), his younger brother and candidate of PDP, Chris Uba and Ukachukwu of APGA. Andy Uba has consistently won the seat since 2011. Senator Victor Umeh emerged the APGA candidate in Anambra Central zone, while the battle for APC ticket is between Senator Uche Ekwunife, Dr Chris Ngige’s proxy, Uzoma Igbonwa and Ebere Obi. Whoever wins will face Umeh. It is alleged that Igbonwa will hand over the ticket to Ngige after securing it. If rumour making the round is anything to go by, the battle for Anambra North will be between late Senator Chuba Okadigbo’s wife and the APC candidate, Mrs Margery Okadigbo and Senator Stella Oduah, who recently defected back to PDP from APGA. This was after it became clear to her that despite alleged agreement with Governor Willie Obiano during the governorship election, her political future is not secure in APGA. Besides, it was alleged that President Muhammadu Buhari has mandated Governor Obiano to deliver Mrs Okadigbo’s wife in the election, because of the longtime political relationship between late Okadigbo and Buhari. In Rivers State, the two factions of the APC conducted parallel governorship primaries. While the faction loyal to Minister of Transport, Rotimi Chibuike Amaechi picked a renowned businessman Mr. Tonye Cole, the faction loyal to Senator Magnus Abe picked Abe as their governorship candidate. Amaechi and Abe were before now strong political allies in APC, but have fallen apart over political differences. It was alleged that Oshiomhole-led leadership has a liking for Abe, because of the fact that Amaechi never supported his emergence as party national chairman. In Ogun State, the outgoing governor of the state Senator Ibikunle Amosun is having sleepless nights following the electoral panel of the National Working Committee’s Wednesday evening announcement that Dapo Abiodun was the winner of the direct governorship primary held by the party in the state. 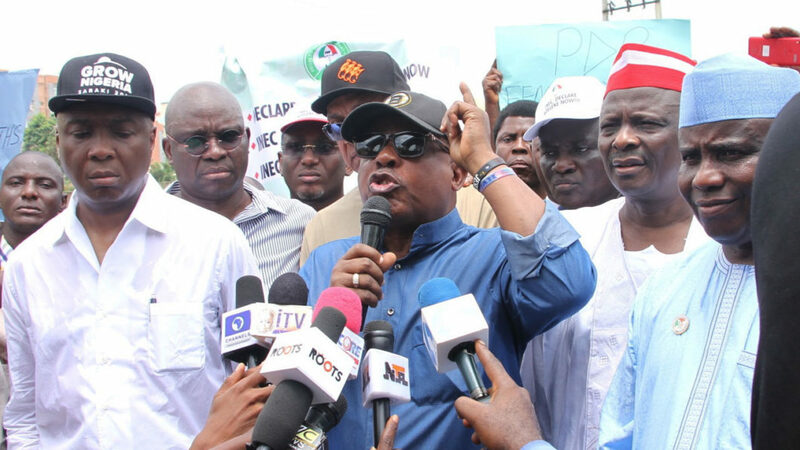 Abiodun was announced despite the local APC chapter’s preference for Amosun’s candidate Adekunle Akinlade. The chairman of the NWC electoral committee, Muhammed Ndabawa announced that Abiodun, an oil magnate, polled 102, 305 votes to emerge winner. In Imo State, Governor Rochas Okorocha’s push to install his son-in-law, Uche Nwosu as his successor is being resisted by party stakeholders. In the botched party primary conducted by Ahmed Gulak-led APC electoral panel, Senator Hope Uzodimma was announced the winner. The party’s leadership has since cancelled the outcome of the exercise, following the strange disappearance of Gulak before the conclusion of the primary. It was alleged that the bone of contention between Okorocha and other party stakeholders in the state is Okorocha’s insistence on installing his son-in-law as governor and picking the senatorial ticket of the party for himself. Also in Delta State, the two factions of APC held parallel primaries. While Great Ogboru emerged the party candidate in the faction loyal to him and senator Ovie-Omo Agege, faction loyal to Olorogun O’Tega Emerhor produced different candidate. One person was killed in the exercise. Emehor also emerged senatorial candidate for Delta Central from his own faction of APC. In the Northeast state of Zamfara, there is crisis in APC over the mode of primaries and choice of candidates. Governor Abdulaziz Yari kicked against arrangements made to conduct direct primary to select the party’s governorship candidate. The governor has also been at loggerheads with the senator representing Zamfara Central, Kabiru Marafa, which is believed to be why he is opposed to direct primaries in the state. Marafa, alongside seven other aspirants had canvassed for direct primaries due to the factionalisation of the party. One of the APC factions in the state is loyal to the Governor, while the other is loyal to Marafa. The primaries, which eventually commenced on Wednesday ended abruptly amidst report of violence and deaths. With Yari’s tenure coming to an end next year, the issue of the APC governorship candidate was yet to be resolved in Zamfara. The major issue in Ondo State is the award of an automatic tickets by the National Working Committee of the party to the senator representing Ondo North senatorial district, Robert Boroffice, action which the state chapter of the party protested against. The NWC gave the ticket to Boroffice against the wish of the state governor, Rotimi Akeredolu. Boroffice has been at loggerheads with Akeredolu since the latter’s 2016 governorship election, during which the senator allegedly supported another APC governorship aspirant, Segun Abraham. 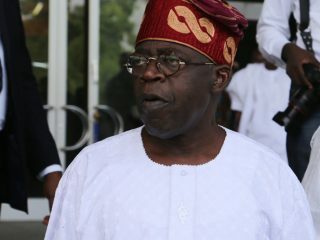 Boroffice’s support for Abraham then was because of the relationship between Boroffice and Bola Tinubu. The two other serving senators, Tayo Alasoadura (central) and Yele Omogunwa (south) were also awarded automatic tickets. Their opponents in the primaries were disqualified. The state chapter of the party is urging the NWC to reverse the automatic ticket for Boroffice in the interest of fairness.